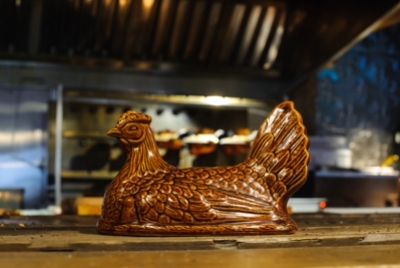 Yardbird is our rotisserie chicken restaurant upstairs above The Dirty Onion. Our menu is small but our flavours are big. Ok we do chicken, but our chicken is famous! Our local free-to-roam chicken is marinated for 24 hours in lemon, buttermilk and paprika. It is then dry-rubbed, cooked and blast-chilled to keep it juicy and finally roasted on the spit. 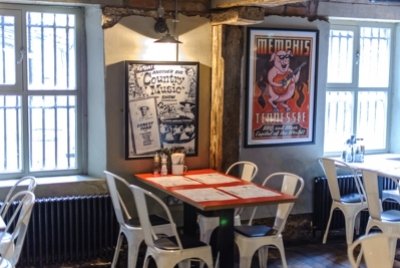 Ribs and wings are also available, as are a choice of sides and homemade desserts. Hungry yet? Don’t believe us? Well come and have a look and see what you think!! Buckaaaarrrrrrr!! Every Saturday night we turn the restaurant into a live music venue after service. 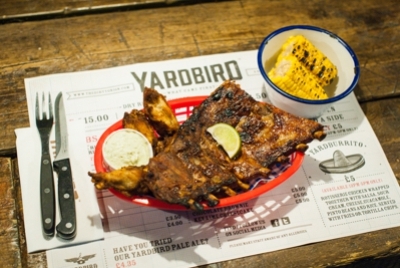 Yardbird Unplucked brings you the best local bands and lets you finish your Saturday night off in style. We have tasty grub galore, and a whole stack of offers to help you get more bang for your buck!